React and Act! is a funny icebreaker in which players randomly select a sheet of paper that has an occurrence on it (for example, winning a million dollars in the lottery) and they must react to the occurrence using animated expressions, gestures, and words. After a set amount of time, other players try to guess what happened that caused those reactions and actions. 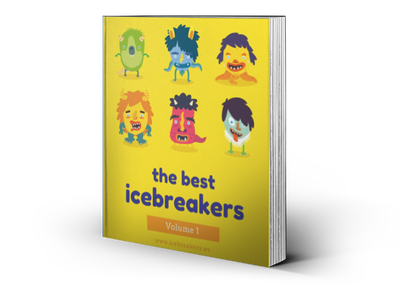 React and Act is an active icebreaker game that can work with a variety of group sizes. It can work for small groups of five people, or adapted for very large groups by selecting volunteers. This game is best played indoors. Materials required include paper, pens, and a bag. React and Act works with all ages, including adults. Once everyone writes an event, fold the paper once and place it into the bag. Divide the group into two teams (or select five volunteers if it is a very large group). Ask five people on each team to randomly select an event from the bag. Instruct them to react to this event, without explicitly giving away what the event is. Choose a time limit (usually 30 seconds to a minute works well) and when you say “Go!”, have all five people to simultaneously react to their event using exaggerated gestures, facial expressions, and their voice. For example, the person who has just won the lottery could raise his or her arms and scream excitedly, jumping up and down. The person who has just confronted a bear might make a terrified look, shake in fear, and call for help. And so on. Each of the five actors can interact with each other, but they must stay “in character” and continue reacting and acting based upon what their sheet said. After time expires, the other members of the team try to guess what happened for each person. If you wish to keep score, each team gets a point for each correct guess. This game is a great way to break the ice, while watching people act out silly (and usually hilarious) things. There are many variations to React and Act that changes the way the game is played. Try experimenting with these and see whether you like them. No talking allowed, but noises are okay. This increases the difficulty of the game by a lot, but it can be more hilarious. Narrator explains the event before each person acts. Screaming Viking - Icebreakers,Ideas, Games, Activities!